Exciting New RV Brands Victor, NY Location: Check Them Out! Check out all the cool new RV Inventory arriving at the Wilkins RV location in Victor, NY! We are proud to now offer the Coachmen Chaparral, Heartland North Trail and CrossRoads Zinger to our Wilkins customers near East Rochester, Pittsford, Clifton Springs and Henrietta, NY. Visit our Victor Dealer location for a walk through tour of these exciting new RV brands. You will see all the super cool amenities the Chaparral Fifth Wheel, North Trail Travel Trailer and Zinger Travel Trailer have to offer! Here, we’ll take a look at some of the standout features that set these special RV brands apart from the rest. 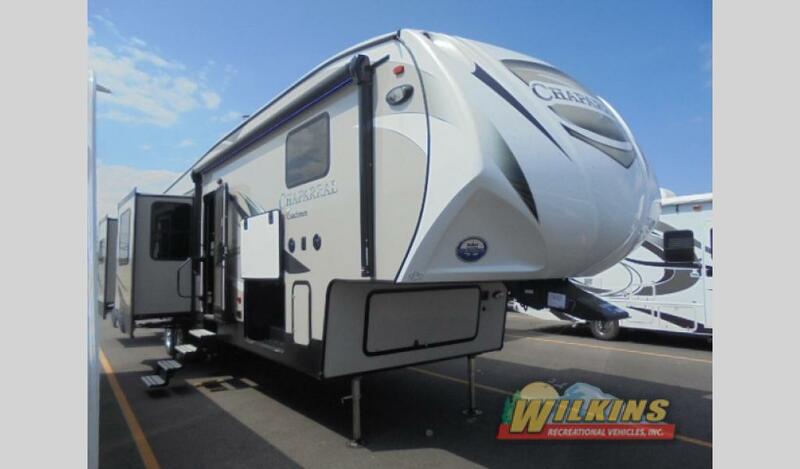 The Chaparral RV for Sale at Wilkins RV is a value packed fifth wheel full of upgraded amenities at a very modest price point. This flagship fifth wheel brand from Coachmen remains a popular RV choice for budget minded travelers looking for a luxury upgrade. There is a wide variety of Chaparral floorplans available from spacious bunkhouse models to innovative middle den designs. 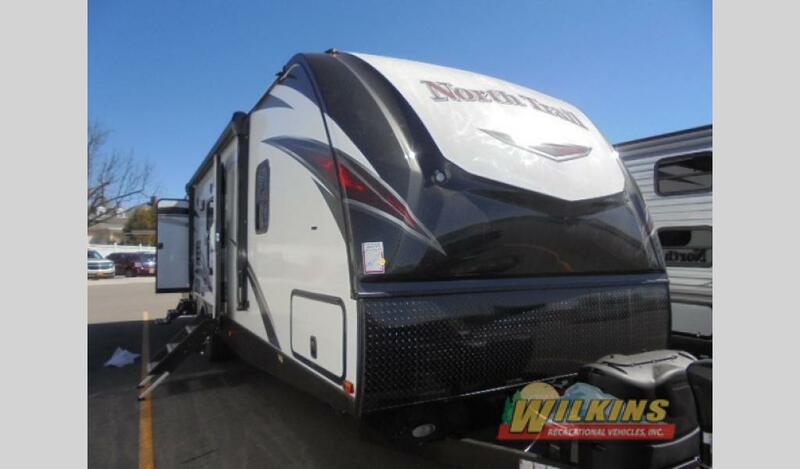 The North Trail RV for Sale is the ultimate in lightweight luxury and value. This attractive ultra lite travel trailer offers plenty of residential comfort, open floorplan design and quality construction components. You will feel right at home in the spacious interior thanks to the curvilinear roof design, oversized windows and deep slide out rooms. The North Trail is constructed with durability in mind with a laminated roof and floor, full aluminum construction (front, back, walls, floor and roof) and 2″ thick sidewalls. The Heartland North Trail is an investment in long lasting quality. 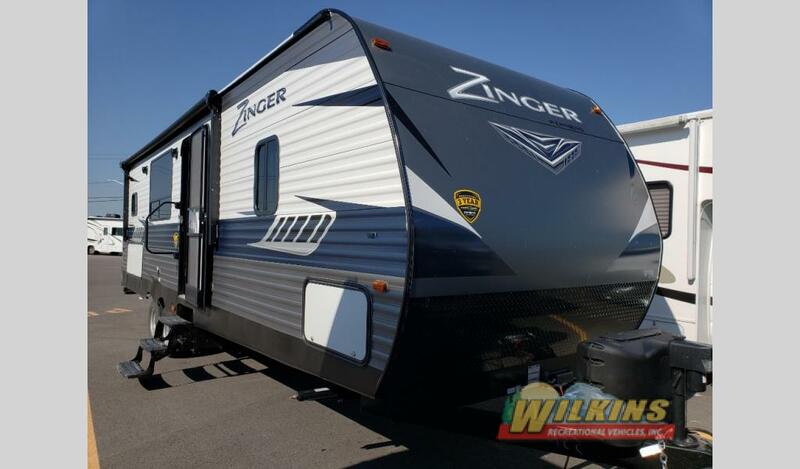 Get ready for the fun and affordable Zinger RV for Sale. These versatile aluminum sided travel trailers are available in a huge selection of family friendly bunkhouse floorplans. With sleeping space for up to 10, you can bring extra friends and family along for the trip! Inside, the Zinger is designed with ample storage space, premium residential furniture and wood blinds. It’s easy to see why the Zinger is such a comfy home away from home. 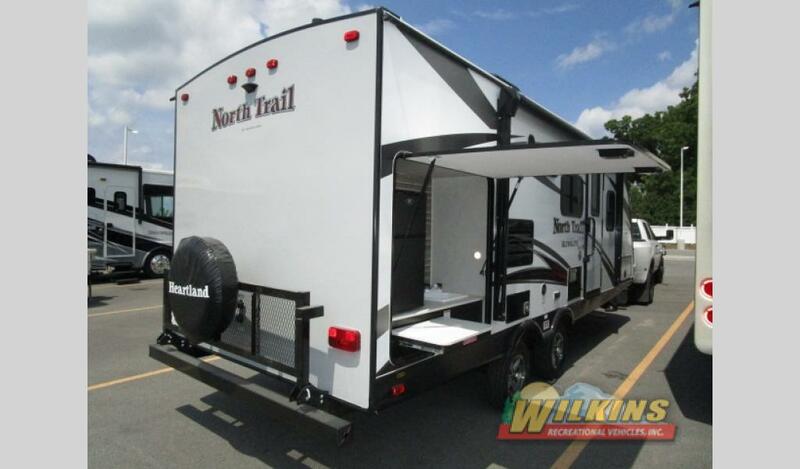 For more information on the Chaparral, North Trail, Zinger or other Wilkins RV brands Victor, NY, Contact Us today!